I live on a fairly busy road. I mean… it’s not “city” busy, but we get enough cars to justify a lemonade stand every now and then. The weather was perfect over the weekend and my daughter decided that we should set up shop. We called a friend over and began our ritual. That’s the rule. And it’s hilarious to watch because in the end the kids end up doing jumping jacks whenever the cars fly by. We were outside for a few hours and NOT ONE CAR STOPPED. Can you believe it? It wasn’t that hot, so I guess no one was really thirsty. But I mean… not one car? I couldn’t believe it!! The girls had fun – that’s all that mattered of course. But you know they were all banking on making some serious dough that afternoon and ended up walking away empty handed. YIKES! Hey – at least they got to drink LOTS of lemonade!! What a shame. Wish I was there that lemonade looks so good! 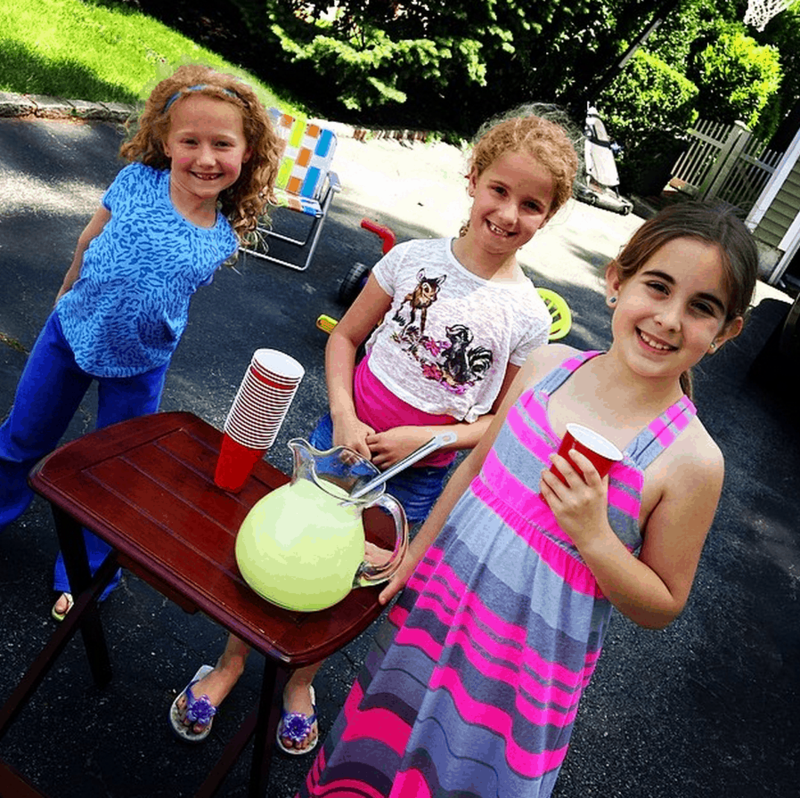 I always wonder why people even have lemonade stands any more. I see them every once in a while but I truly never have cash. Not even change. I use my debit card for everything. They look adorable. I hope they had fun anyway!